The Red Sox announced Nathan Eovaldi will start Game 4 on Saturday. Nathan Eovaldi will start Game 4. Eovaldi has posted a 1.65 ERA in five games (two starts) in the 2018 postseason across 16 1/3 innings. He has pitched in each of the first two games of the World Series, throwing scoreless eighth innings in both outings. 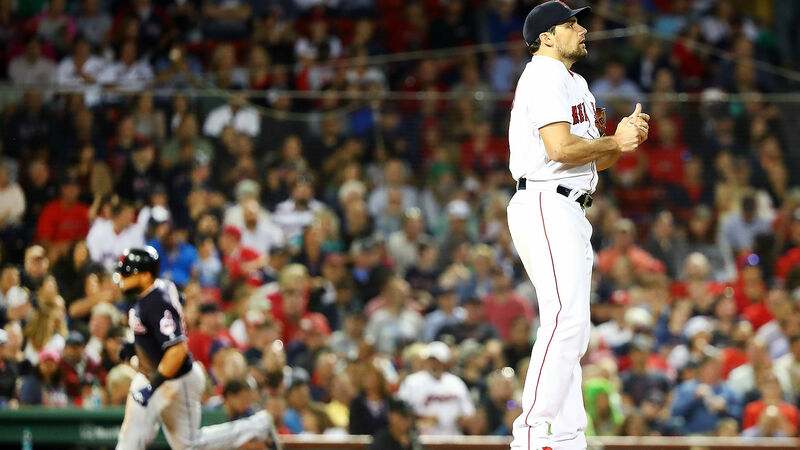 The Red Sox have not announced as to whether this means Eovaldi will be available as the set-up man for Boston in Game 3 on Friday. In other news, J.D. Martinez will start Game 3 in left field for Boston while Jackie Bradley Jr. will start in center and Mookie Betts will be in right. Andrew Benintendi will start the game on the bench. The 24-year-old left fielder is batting .500 in the World Series, but hit just .246 against power pitchers this season with one home run. Los Angeles starter Walker Buehler averages 96.2 mph with his fastball. Bradley hit .294 with three home runs against power pitchers this season.